This year the countries of Italy and Japan will celebrate their 150th anniversary of bilateral relations. Last summer Italian Prime Minister Matteo Renzi met with his Japanese counterpart, Shinzo Abe, in Japan, where they announced their dedication to strengthening their countries’ diplomatic ties in anticipation of the comprehensive cultural exchanges that will encompass exhibitions, concerts, food and wine tastings, and sporting events throughout 2016. There will be ten major exhibitions spanning more than 20 museums across Japan, featuring masterpieces of Italian art, including Botticelli and His Time at Tokyo Metropolitan Museum and Leonardo Da Vinci: Beyond the Visible at Edo Tokyo Museum. The Luigi Cherubini Youth Orchestra and the La Scala Theatre Ballet will take musical tours of the country. One performance in particular embodies the true spirit of collaboration between Italy and Japan. Japan Orfeo is a joint opera project between artists from both countries, a spectacular East-meets-West reinterpretation of Claudio Monteverdi’s L’Ofero, a Baroque opera that tells the story of the Greek hero Orpheus. The conductor, Aaron Carpenè, and the director, Stefano Vizioli, are from Italy, and they’re working with Master Kazufusa Hosho from the Hosho School of Noh, dancers from the Fujima School of Nihon Buyo, and Japanese composer Ryusuke Numajiri. They’re forging collaborations with Italian fashion designer Luca Missoni for costumes and Keiko Shiraishi, a Japanese set designer based in Italy. With patronage of both the Italian Embassy in Tokyo and the Japanese Embassy in Rome, Japan Orfeo will be performed on October 8 at Tsurugaoka Hachimangu Shrine in Kamakura, around 40 miles south of Tokyo. Carpenè and Vizioli collaborated on Opera Bhutan, the story of Acis and Galatea adapted to Himalayan culture, a project that took nine years to plan and execute. 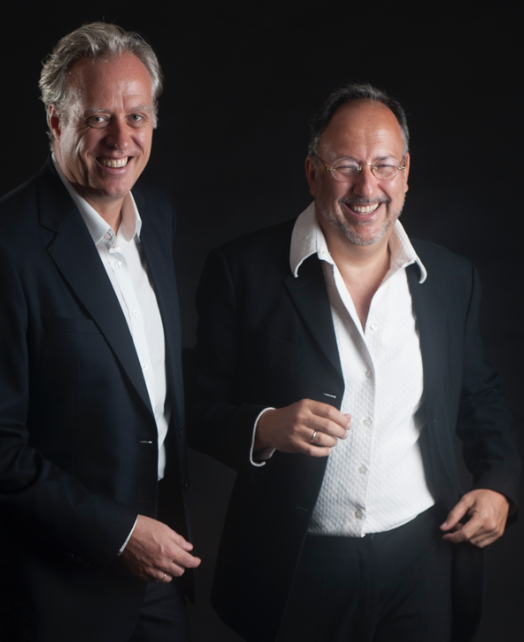 In 2013 William Fischer, an American businessman based in Japan, attended a performance of Opera Bhutan and suggested that Carpenè and Vizoli do a similar project using Japanese arts as the backdrop. Intrigued by the idea, both men, who already had knowledge of Kabuki and Noh, immersed themselves in Japanese traditional art during a 20-day stay in Japan. “The challenge of a project involving a foreign country is to learn the other culture, to be humble enough to understand that your glass is not full of knowledge of that culture,” says Vizioli. Written in 1607, Orfeo is widely considered to be the world’s first meaningful opera, and Carpenè says that there’s a growing interest among Japanese musicians to study Baroque music in Italy. 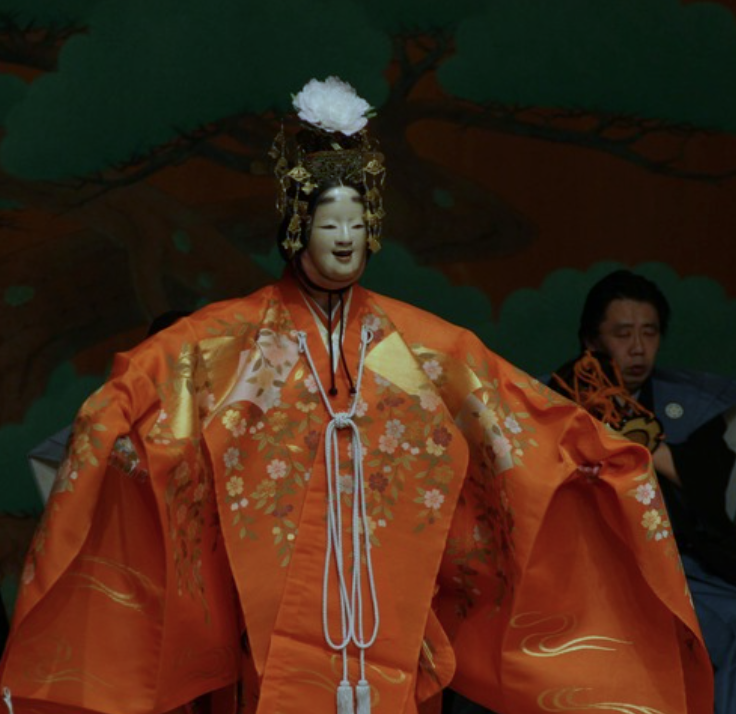 Kazufusa Hosho is embracing the difference between Noh and opera. The 20th generation Noh master is only 28 years old and open to experimenting. “He’s not as rigid as traditional Japanese artists,” says Carpenè. When the young performer met Carpenè and Vizioli in Rome to discuss how the ancient opera about a Greek tragedy could be adapted to fit the traditional arts of Japan, he suggested Nihon Buyo (Japanese traditional dance) and Gagaku (ancient Japanese court music) for areas that aren’t appropriate for Noh. “Our work is a constant work of learning and curiosity,” says Carpenè. To help the Italian men navigate the oftentimes confusing world of Japanese etiquette, friends in Rome introduced them to Kyoko Mimura, Executive Producer of Friendship Bridge Classical Music and Arts Society of Tokyo, a non-profit that organizes classical music and outreach programs to introduce Japanese arts to the world. A Japanese who grew up in the States, Mimura has consulted Carpenè and Vizioli on the subtleties of Japanese verbal and non-verbal communication as well as helped them grow their network of Japan Orfeo supporters, which includes Michiko Sato, director of Kotoku-in Temple in Kamakura; Kumiko Hashimoto, wife of the late Japanese Prime Minister Ryutaro Hashimoto; and Japanese politician Kyoko Nakayama, the leader of the Party for Japanese Kokoro. Their network has even reached New York. Carpenè and Vizioli tapped Ian O’Sullivan of Alternative Escapes, a New York-based travel community specializing in life-changing adventures, to customize a unique tour package centered on the performance of Japan Orfeo. Participants in the package will become part of their International Circle of Benefactors, an exclusive group that has the opportunity to be part of a fascinating performing arts and travel event. The trio hosted a private event at the Union Square Lounge on January 25 to introduce the project and to find discriminating New Yorkers with a keen love of the performing arts to join the International Circle of Benefactors. For a 100% tax-deductible donation of $10,000, twenty benefactors plus one guest each will see the world premiere of Japan Ofero in Kamakura. O’Sullivan is planning additional special activities – such as an exclusive tea ceremony on the temple grounds, backstage access, dinners with the creative team – throughout the week. “This is a creative way to finance the project,” says O’Sullivan, who left a career in marketing at Bloomberg, LP to create what he calls “transformative travel.” With Japan Orfeo, O’Sullivan says that this isn’t simply a luxury vacation. “This is an investment in bringing an original work to life. You can be a lover of arts and opera, but you’re not just a witness to the show; you’re part of the process,” he says. During their time in New York, Carpenè and Vizioli received wonderful news from Tokyo: Japan’s First Lady, Akie Abe, announced that she is officially supporting Japan Orfeo. Such interest in the project has given the creative team confidence that they can take the opera/Noh hybrid beyond Japan and Italy. Perhaps a performance of Japan Orfeo in New York is in our future? For more information on joining the Japan Orfeo’s International Circle of Benefactors, please visit the Alternative Escapes website. Previous Previous post: Ward Off Demons with The Kitano Hotel's Setsubun Lunch!